HÀ NỘI — Hà Nội and HCM City are among the top ten most dynamic growing cities in the world, according to a study by a leading international property and investment management company. 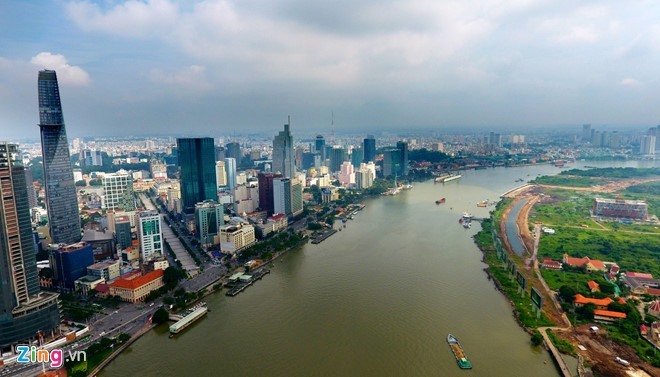 Việt Nam’s capital was ranked third and HCM City eighth in the data released as part of JLL’s Short-Term City Momentum Index (CMI) 2019. JLL tracks social-economic and commercial real estate growth in 131 cities over a three year period. Việt Nam was the strongest performing country with two cities ranking the highest in ASEAN, said JLL. Number one in the list was Bengaluru and number two Hyderabad, both cities in India. In its report, JLL said the two cities performed very well for socio-economic momentum, with fast-growing populations and economies. On the real estate front, Việt Nam has “a small real estate investment market struggling with issues such as low transparency and a limited volume of investment grade stock,” JLL added. According to JLL, the City Momentum Index looks at 20 indicators including recent percentage changes in GDP, population, air passengers and corporate headquarters presence; projected percentage changes in GDP, population and retail sales; and recent levels of and changes in foreign direct investment, as a proportion of a city’s economy.